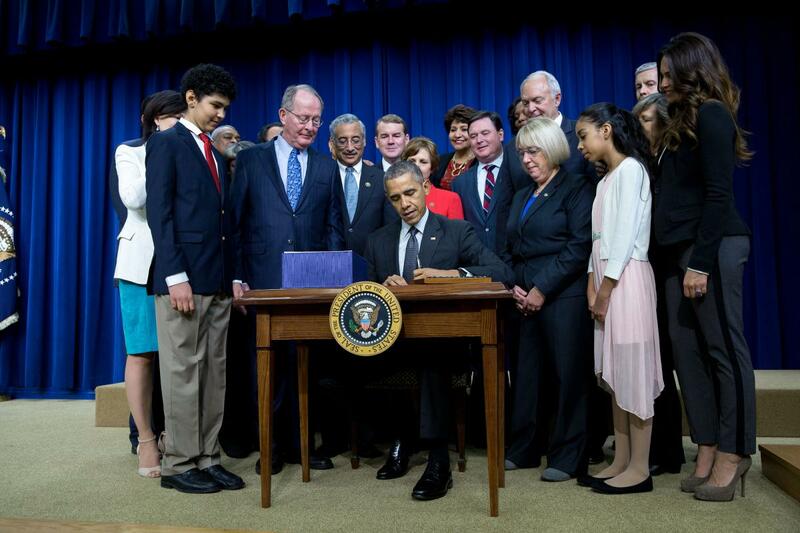 In December 2015, President Obama signed the Every Student Succeeds Act (ESSA)–a bipartisan reauthorization of the Elementary and Secondary Education Act (ESEA), the nation’s national education law. A number of organizations are creating resources to help guide states during the transition from NCLB to ESSA. States can turn to ESSA resources from the Alliance for Excellent Education, presentations like this ESSA Webinar from iNACOL, ED’s ESSA site and media resources like this Special Report on ESSA from EdWeek. ExcelinEd is creating a set of resources written directly for state policymakers that provide useful summaries and insights to inform planning. “ESSA: What States Need to Know Now” reviews five things states need to know about school accountability under the new ESSA legislation. With the passage of the Every Students Succeeds Act (ESSA), states face an incredibly complex transition filled with both opportunities and potential perils. But states should not overreact. Over the next 18 months, states must continue their transitions to new assessment systems, unwind their waivers, prepare for new opportunities for innovation, and revise their accountability systems to meet new requirements and take advantage of new flexibilities. ExcelinEd does not recommend that states use the 2016 legislative session to make major changes to their accountability systems that may be out of compliance with ESSA before the U.S. Department of Education has issued crucial regulations interpreting the new law. However, there are certain new opportunities and new requirements that states should know about—and begin to plan for—now. States will set their own goals: Under ESSA states will have freedom to develop their own goals for student proficiency, graduation rate and English proficiency. The goals must expect low-performing groups to make “significant progress” in closing achievement gaps, but the U.S. Department of Education’s ability to review and influence state goals is extremely limited. Questions remain around subgroup accountability: Several confusing passages in the law may make it difficult for a number of states to continue using a subgroup consisting of the lowest performing 25 percent of students. The U.S. Department of Education’s rulemaking will be critical in clarifying whether and how states can continue to use this powerful accountability tool that ensures each school focuses on its most struggling students. States must choose an additional indicator of school quality or student success: Under ESSA, states must include in their accountability systems an indicator of “school quality or student success” that could be non-academic in nature. States may experience pressure to include inputs (percent of students taking fine arts courses, for example) or to weight these factors in a way that dilutes the focus on student learning outcomes. States ought to begin to consider which valid, reliable, statewide indicator would be most appropriate and how they would incorporate that indicator into their accountability system. States will select their own school supports and interventions: States will have tremendous freedom around school turnaround, which is one of the most difficult tasks in all of education reform. States should start to think about what tools they want to have in their turnaround toolbox—achievement school districts, reconstitution, high-performing charters, public school choice, equitable distribution of effective teachers, and/or new curricula based on digital learning. New accountability provisions don’t take effect until the 2017-18 school year: States should wait until final regulations are issued in the fall or winter of 2016 before making any major or permanent changes to their accountability systems. States that opt to make changes during this legislative session may have to reopen their systems for additional changes when the final regulations are released. In the meantime, ExcelinEd is available to help states think through the new requirements and opportunities explained here. For additional information, please review this ESSA Timeline. Visit ExcelinEd’s Policy Library for more information and resources on the Every Student Succeeds Act, or contact Claire@ExcelinEd.org to learn how ExcelinEd can support your state.